More tomorrow, my regular posting day, but for today, a quick update. Deadline was midnight Feb 5th, 2013. 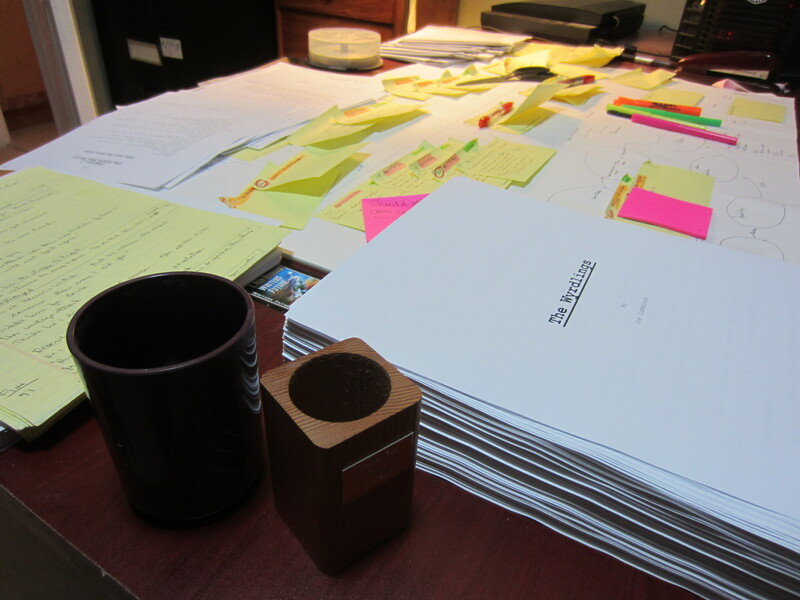 Feb 5th, 2013, 5:38pm, I finished my second draft. So what does second draft mean? It means the first 30 pages are good enough to be sent out. It means I can start querying if I want. It means I can send out the whole book to readers for feedback. It means met my goal. Next step – Reader feedback. Then I’ll put it aside for a couple of months so when I do my final draft, I can look at it with fresh eyes. Like I did with Desert Rains. Maybe go to Vegas again. Or Mexico. Or Paris. All in all, the story should be pretty engaging, I LOVE my characters, and love some of the scenes I’ve crafted, but I went with an unconventional structure and that may sink me (or not.) Either way, at some point, a writer just doesn’t know if something works or not, but hey, that’s what readers are for. This entry was posted in Completing a Novel, Editing, Productivity, Writing to a deadline, Young Adult Books and tagged deadlines, pages written, rewriting, writer's journey, YA Novel by Joe Cummings. Bookmark the permalink. Bravo, Joe! I like the sound of unconventional structure…. I hope you can find something really really indulgent to do as a reward. Paste this into your browser for a little surprise…..
Yay! I knew you could do it. I’m not the least bit surprised, and I’m so happy for you. Turkey dinner is still on, if you want it! I’m serious. Love Michael’s surprise – that is so right! Fantastic! Congratulations on the second draft. An awesome achievement. Wow, have to talk you more about that word count thing, now I don’t know if I have a 90,000 word manuscript or a 70,000 word manuscript or a 110,000 word manuscript – I just let ‘word’ count for me! SECOND draft! Wow, you really are a ninja Joe. Congratulations on being at the head of the pack. Can’t wait to read it — as soon as we figure out the parameters of our “review phase”. I’ll try to peck out a few thousand words more of my own this week — I have a lot of catch up to do. BTW, love the idea of doing final drafts in exotic places. I think it should be mandatory!